Can lifelong best friends find their happily ever after in each other? Ardie and West have been friends since the second grade. They’ve been through a lot together: homework, broken bones, the death of a parent, and dreading high school dances. Through Ardie working the family farm and taking care of his siblings, and West chasing his college boy dreams, their friendship never falters, even with the gap of years and lifestyles. West goes through a series of boyfriends, making Ardie wish his friend could find someone who loves him as much as Ardie does himself. Waiting for the right time to tell West he’s gay, Ardie figures he’s lost his chance when West finally meets someone who seems just right for him. When the bottom falls out for West, there’s only one person he thinks to call. Ardie is there for him when he does. A little vacation seems to be the right thing, not just to ease West’s mind, but for Ardie to slide into West’s life again, finally letting his friend know how deeply he cares. Will these two bet friends realize there might be more between them than just friendship? 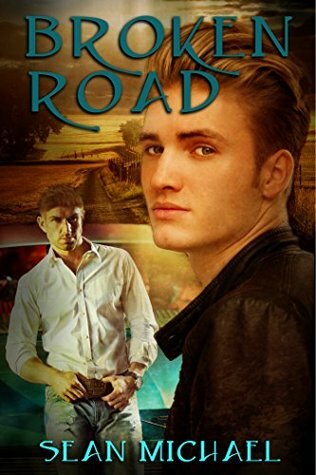 Find out if their Broken Road lead to happiness in this heartwarming read.